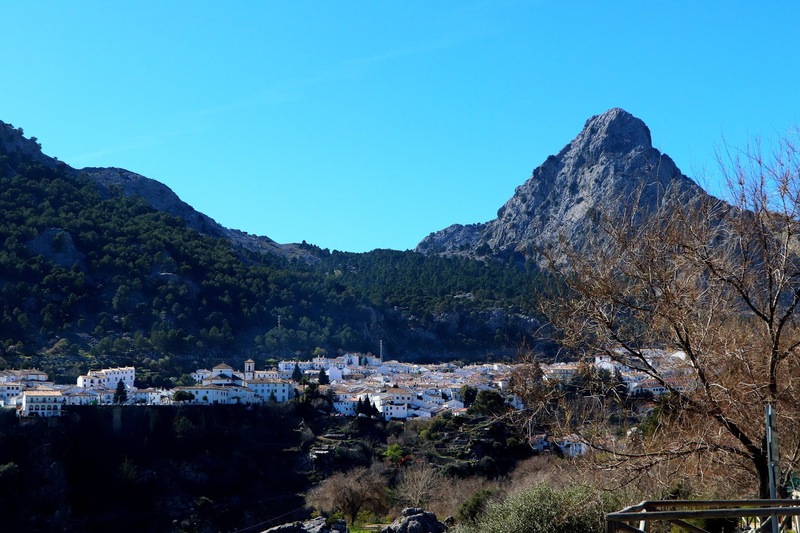 The Peñon de San Cristóbal towers over the amazing white mountain town of Grazalema (Cádiz). 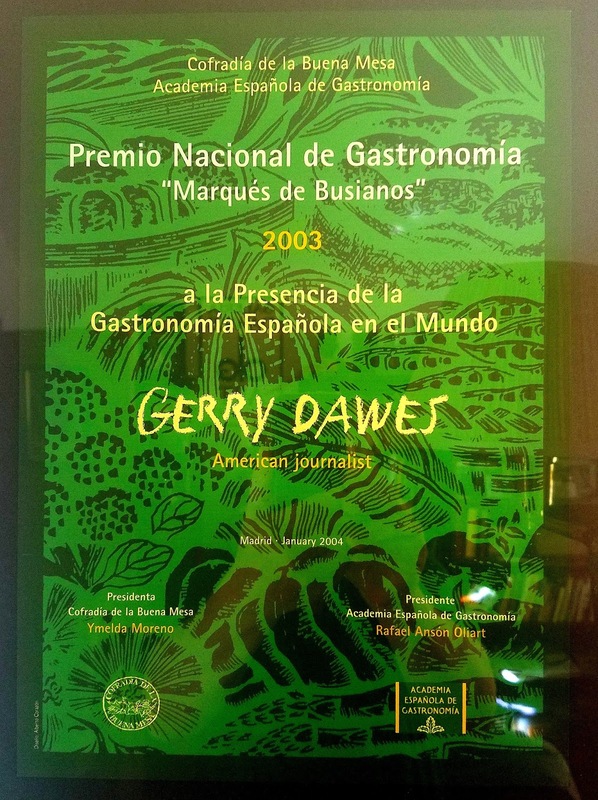 Kay and I were traveling through the White Villages of Cádiz, on February 5th on our way to Ronda from Sevilla via Coronil, Zahara de la Sierra and Grazalema and the next day on February 6th from Ronda via Grazalema, Benamahoma and El Bosque to El Puerto de Santa María. On the mountain roads on our way to and beyond the magical Pueblo Blanco (white village) of Grazalema, we encountered three bands of Iberian ibex, Spanish ibex, Spanish wild goat, or Iberian wild goat (Capra pyrenaica). The first group we encountered was on the wild and curvy road that leads from Zahara de la Sierra over the Puerto de las Palomas below the San Cristóbal peak, but there was no place to stop along the road to get picture. Iberian ibex, Spanish ibex, Spanish wild goat, or Iberian wild goat (Capra pyrenaica). The next day, after a few tapas at Bar Rumores in the center of Grazalema, we drove up through hills past the source of the Guadalete River and encountered two more groups of Ibex, one behind some fenced in property, the others nearer the road (when they saw me, they bolted up a rocky hill showing their mountain climbing prowess!). Wild Iberian Ibex mountain goats showing their climbing prowess. At one point a female Ibex stops to urinate, at which point a buck, coming along behind her, sniffs the ground then sits down on the spot where she urinated. 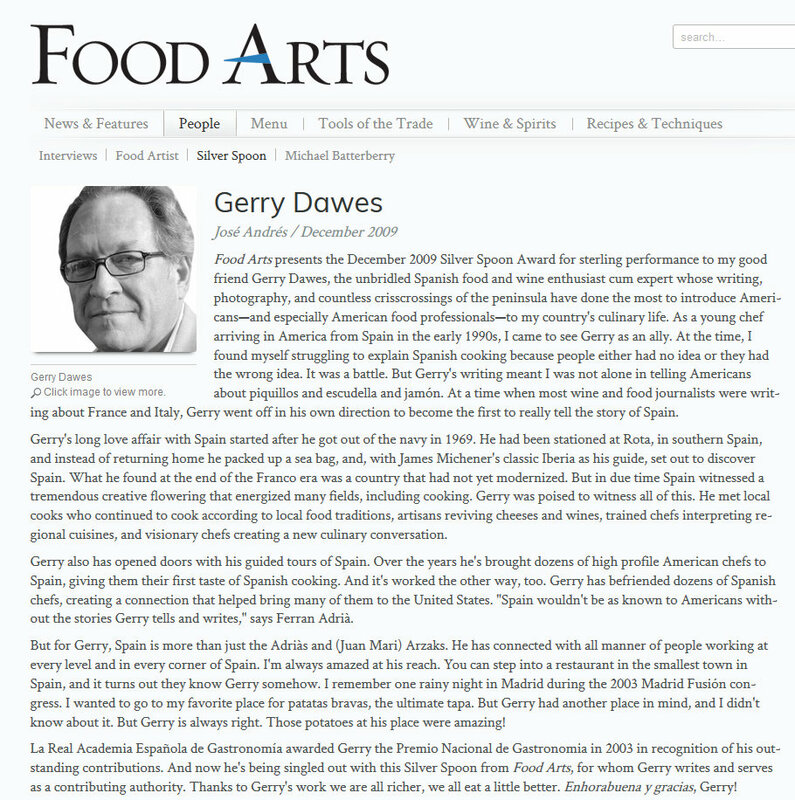 Gerry Dawes is the Producer and Program Host of Gerry Dawes & Friends, a weekly radio progam on WPWL 103.7 FM Pawling Public Radio in Pawling, New York. 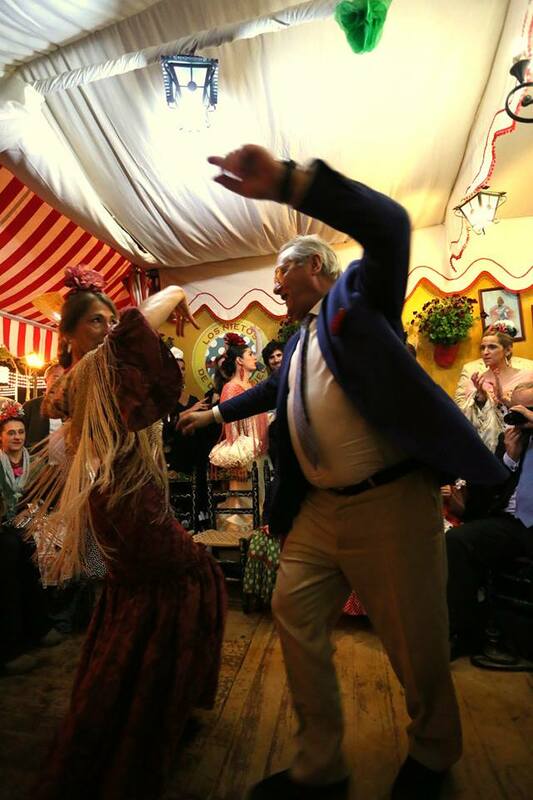 Kay at España Cañí tapas bar, Plaza del Ángel, 14, in the Literary Quarter (Barrio de Letras), España cañí (meaning "Gypsy Spain" in Spanish) is a one of the most often heard and stirring of pasodobles you might hear at a bullfight. 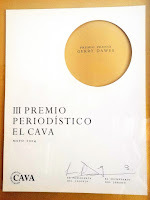 It is an instrumental piece written around 1923 by by Pascual Marquina Narro (1873-1948). 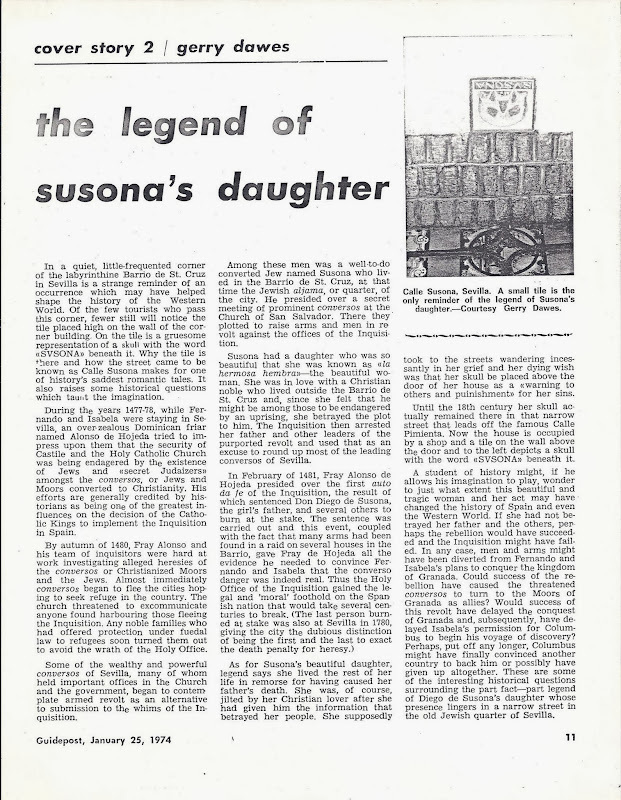 The song was first recorded in 1926. 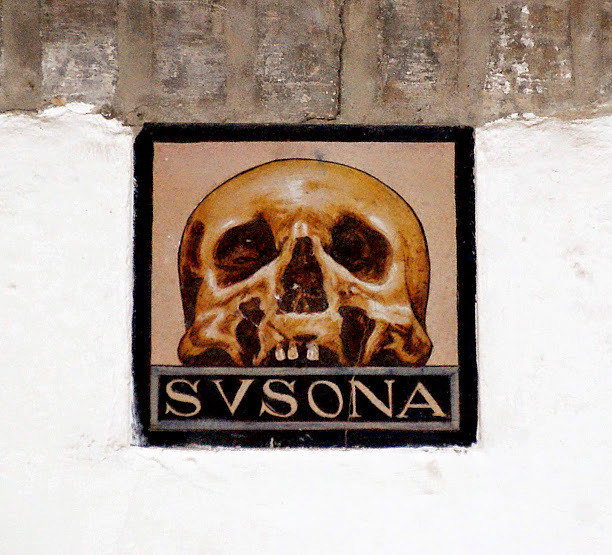 The images on the tiles are taken from paintings by the great Córdoban artist, Julio Romero de Torres. 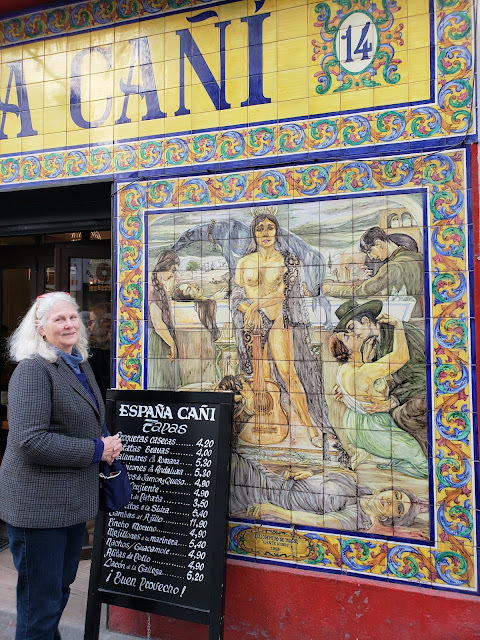 Kay with the statue of the great 20th-Century Andalucian poet Federico García Lorca in la Plaza de Santa Ana, Madrid. Kay at Villa Rosa, now a flamenco show venue, but once a house of excellent repute. Madrid is famous for its tabernas, bars and restaurantes with hand-painted tiles. Villa Rosa has famous depictions of Sevilla, Granada, Málaga, Córdoba, Granada and Madrid on its exterior walls and more superb tile scenes in the interior. 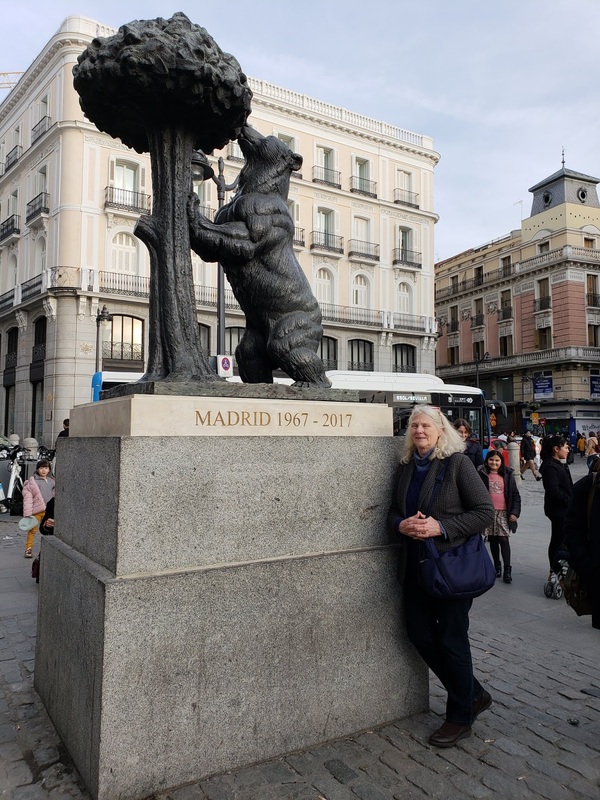 Kay at the Oso y Madroño monument in la Puerta del Sol . A bear eating the fruit of a strawberry tree, arbutus unedo, is the symbol-mascot of Madrid. 4) Kay at Kilometer Zero, the symbolic center of Spain in La Puerta del Sol. This kilometer marker is the point from which the national roads (N-1 to N-6) radiating from Madrid are measured. When you see K-323, etc. on one of the national roads, it is the distance in kilometers from this point. The plaque is situated in front of what used to be the Post Office, the Real Casa de Correos, whose clock, according to urban legend, was the official time clock of Spain. This building now houses the offices of the President of la Comunidad de Madrid (Madrid is also a province). In any case, la Puerta del Sol is the Times Square of Spain and this clock tolls the hour at midnight to the throngs packing the plaza (and to the rest of the country) on New Year´s Eve. 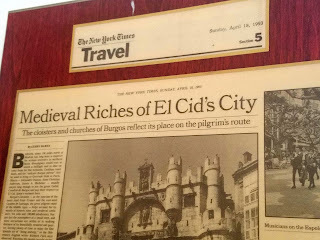 The plaque was originally installed here in 1950 and, during some renovation work in 2002, it was re-installed 180 degrees, basically turned around so the map of Spain was upside down geographichally. During more work on la Puerta del Sol in 2009, the plaque was replaced again, this time installed in its original intended position. Stuffed local wild boar's head at Venta Los Polancos, El Coronil (Sevilla province). Kay Balun and Gerry Dawes in the patio of Hotel Alfonso XIII, Sevilla. At noon, we checked out of the Alfonso XIII and, because of the now very complicated traffic patterns in Sevilla, we took our luggage with us in a taxi to Santa Justa station, where we picked up our Budget (Avis) rental car and headed for Ronda via the foothills village of El Coronil, still in Sevilla province, to Zahara de la Sierra, over the Puerto de la Palomas mountain pass to the spectacular mountain-bound white village of Grazalema, then to Ronda, where we checked into the Hotel Colon, calle del Pozo 1, Ronda. 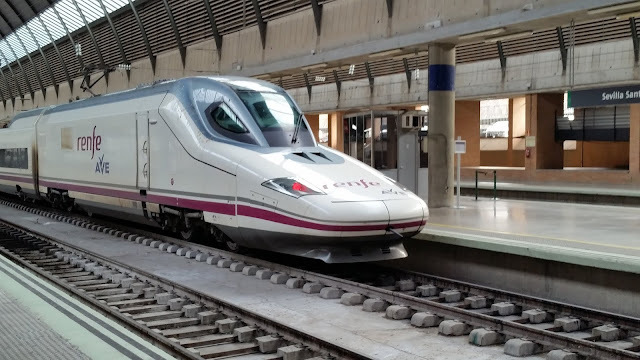 AVE high-speed train in the Santa Justa station in Sevilla. 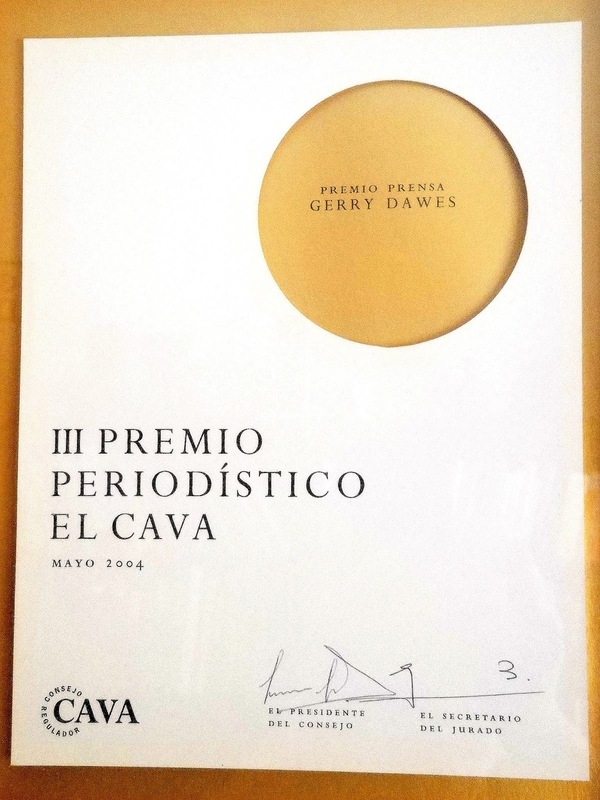 On two successive days, I drove Kay through the stunning Pueblos Blancos, White Villages, of Andalucía’s Cádiz province and into neighboring Málaga to the mountain city of Ronda, once a hideout for bandoleros (mountain bandits and smugglers; see the opera Carmen). 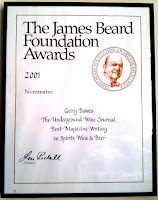 I have been visiting these areas since 1968 and have made a score of trips through these spectacular towns that area imbedded in equally spectacular natural settings. 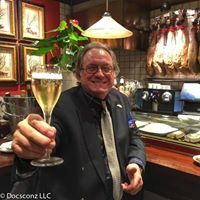 We left Sevilla on the morning of Feb. 5, 2019 and drove via the foothills village of El Coronil on our way to Ronda. For lunch was looking for a restaurant that I knew from many years ago, but it was closed, so we drove on a few kilometers looking for a classic venta, one of those beloved roadside restaurants that attract people traveling through the rural areas of Andalucía and weekenders out for drives in the country. If the venta is particulary good, it can be worry of a dedicated day trip. The one we found for lunch at Venta El Polancar, outside of El Coronil, was not a venta of legend, but it was cheap—just 8.5 Euros apiece—and the modest dishes we had were decently made and satisfying. 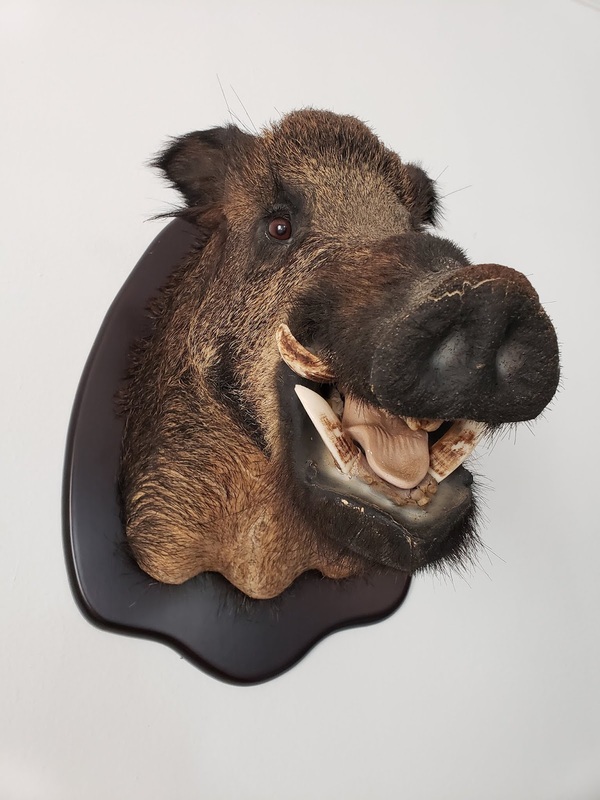 It was getting close to 4 p.m. and we were the only ones in the dining room, unless you count the stuffed boar's head mounted on the wall. 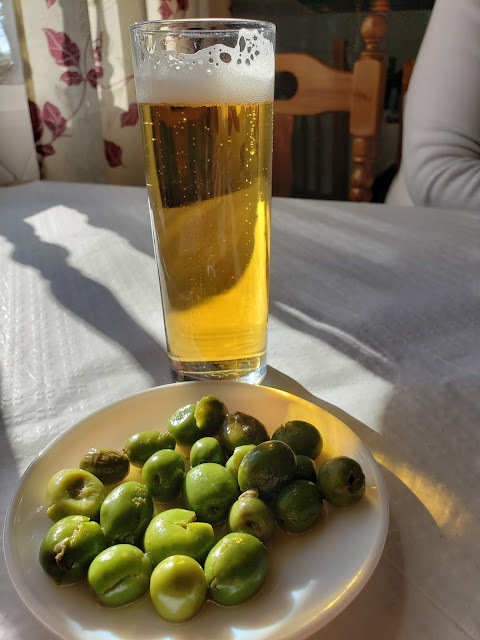 I had my long-time favorite, salmorejo, a thicker Córdoban version of gazpacho, and lentejas con chorizo, a lentil stew with chorizo, and they gave us a plate of house-cured green olives, plus I had a tall glass of draft beer. Kay’s sopa de picadillo, a typical soup with diced ham and egg in it, and a fried fish and calamar plate did not fare as well as I did. Total 17 Euros, plus a couple of Euros tip. 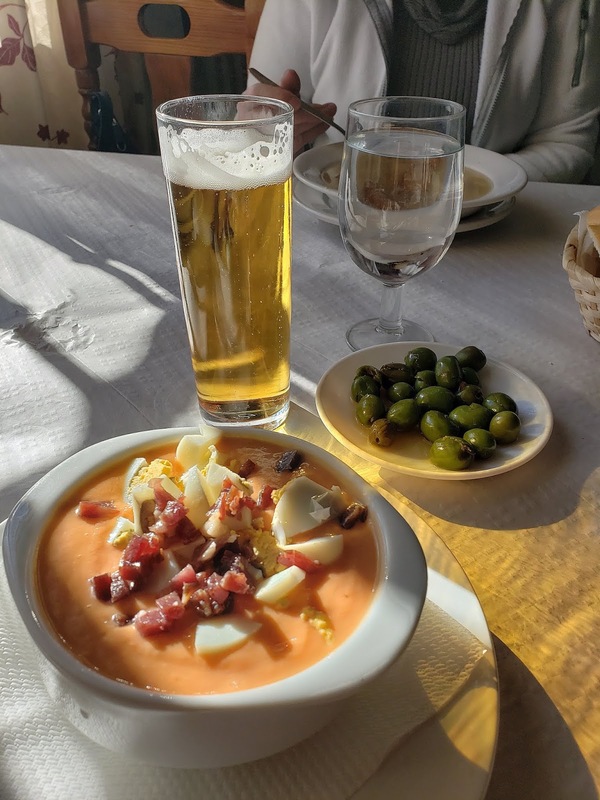 Salmorejo, a thicker Córdoban version of gazpacho, with a tall glass of draft beer and house-cured olives. 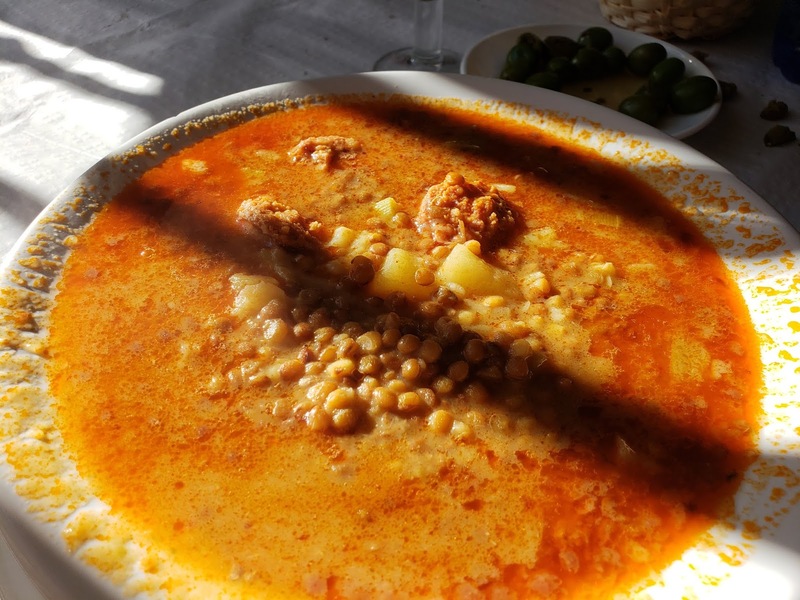 Lentejas con chorizo, a lentil stew with chorizo, at Venta Los Polancos. See following posts on Zahara de la Sierra, Grazalema and Ronda. After a morning jaunt across my old barrio, the Barrio de Santa Cruz, the old Jewish Quarter of Sevilla, we went to Santa María de la Nieves church, more popularly known as Santa María la Blanca, (the same name as the exceptional other former synagogue in Toledo, also called Santa María la Blanca). This church was built on the foundations of both the original small neighborhood mosque that was converted after the re-conquest of Sevilla from the Moors in the 13th Century into a synagogue used by Jews in the Jewish barrio of Sevilla (the barrio where I lived off and on for parts of five years). Santa María la Blanca was a synagogue until the late 14th Century, when, after a terrible pogrom, it was converted into a Christian church. Santa María la Blanca is also the name of the street where the former synagogue is located. 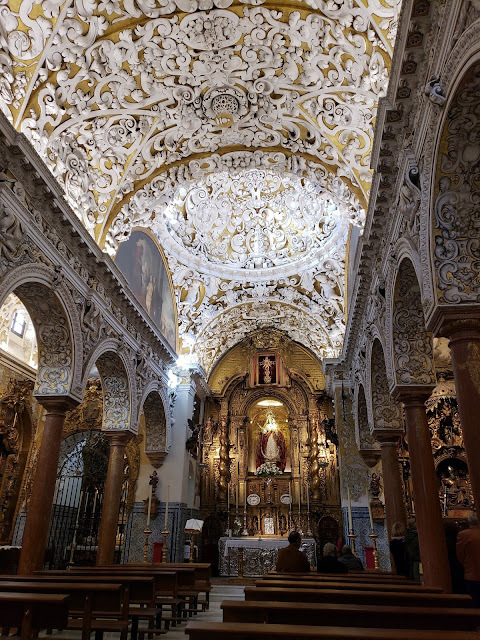 Santa María la Blanca, with its overwrought, overwhelming and over-the-top Baroque decoration, as spectacular and meticulously restored as it is, will be somewhat of a disappointment to those looking for vestiges of the synagogue. Santa María la Blanca's overwrought, overwhelming and over-the-top Baroque decoration. Almost nothing of the former synagogue is evident, except for the front entrance to the church, which was apparently the front door of the synagogue, and the much restored and altered rounded mudéjar-designed arches that are remnants of the synagogue (surprisingly not the former mosque) supported by columns whose originals were replaced with ones of red marble from Antequera. The rounded mudéjar-design arches that are most re-worked remnants of the synagogue. 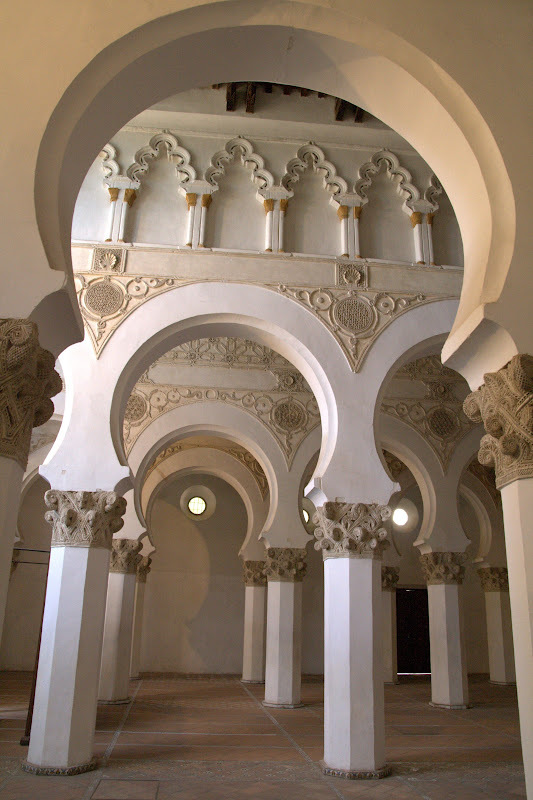 These arches are somewhat reminiscent of other Jewish synagogues like the sublime Santa María la Blanca in Toledo in which Jewish congregations adopted and commissioned the popular mudéjar, or Moorish-inspired architecture of that epoch, usually done by Moorish artisans, bricklayers, etc. 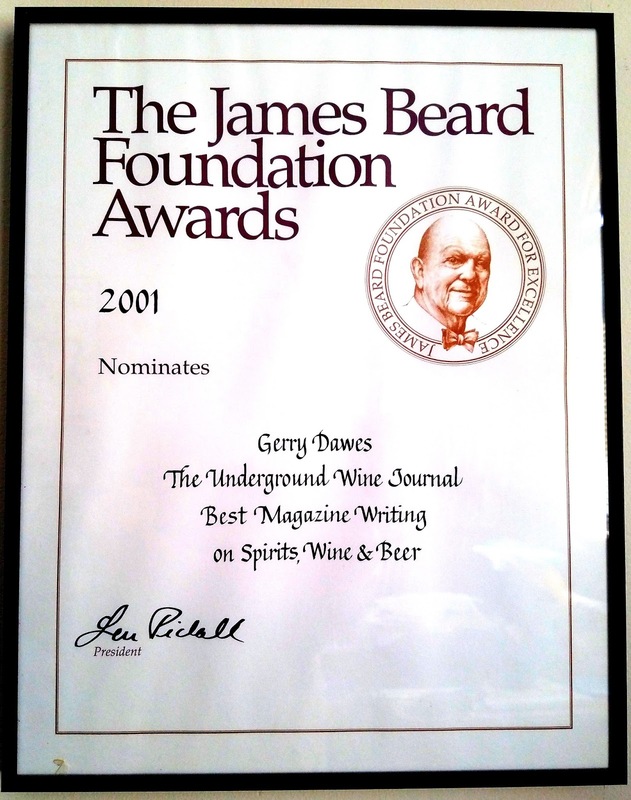 working under Christian rule. Often the three cultures--Christian, Jewish and Moorish--overlapped, so sometimes you see a mix of influences. 12th-Century Ibn Shushan Synagogue in Toledo, now Santa Maria La Blanca, but used mostly as a museum site of Jewish culture in Toledo. Notice the decorative arquillos (little arches; above the main arches). These synagogue arquillos were also found under some Murillo paintings during restoration a few years ago of Santa Maria La Blanca in Sevilla (see below). These synagogue arquillos, little arches, were also found under some Murillo paintings during restoration a few years ago at Santa Maria La Blanca in Sevilla. Floor plan of the 14th Century synagogue that became Santa Maria La Blanca church in Sevilla. Sideview of of the 14th Century synagogue that became Santa Maria La Blanca church in Sevilla.